We are very much looking forward to this week’s Halloween ukulele karaoke gig, which takes place this Thursday 18th at the Royal George pub in Soho, London. More details in a previous post. Make sure you brush up on our latest song list, with some spooky specials we want you to sing! For some of what we have been up to in the last week then check our rehearsal recordings, which features amazing kazoo playing and a run through of Ghostbusters. So don’t be afraid, we won’t bite. Well we might, is it a full moon? Manson knows how to rock the scary-look.. 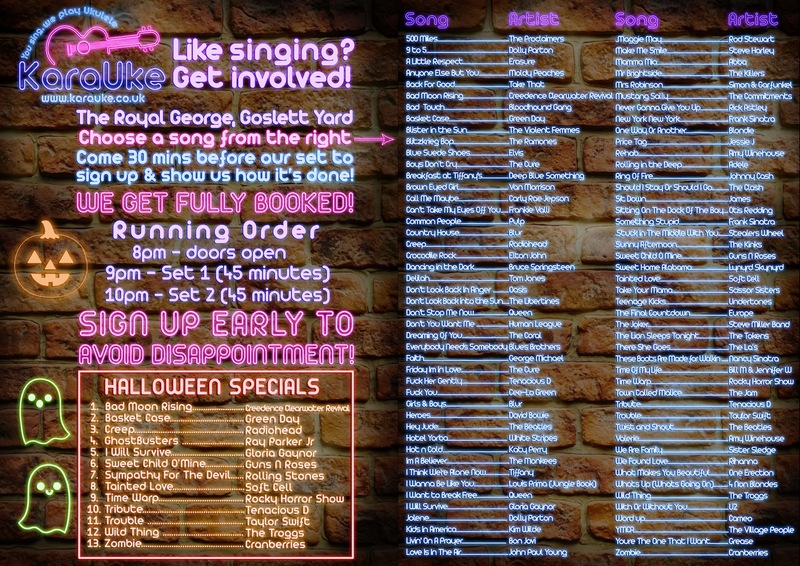 Previous Previous post: Halloween Karaoke – It’s a graveyard smash!